While EA rest on their laurels with the PGA franchise, another studio is making impressive advances. 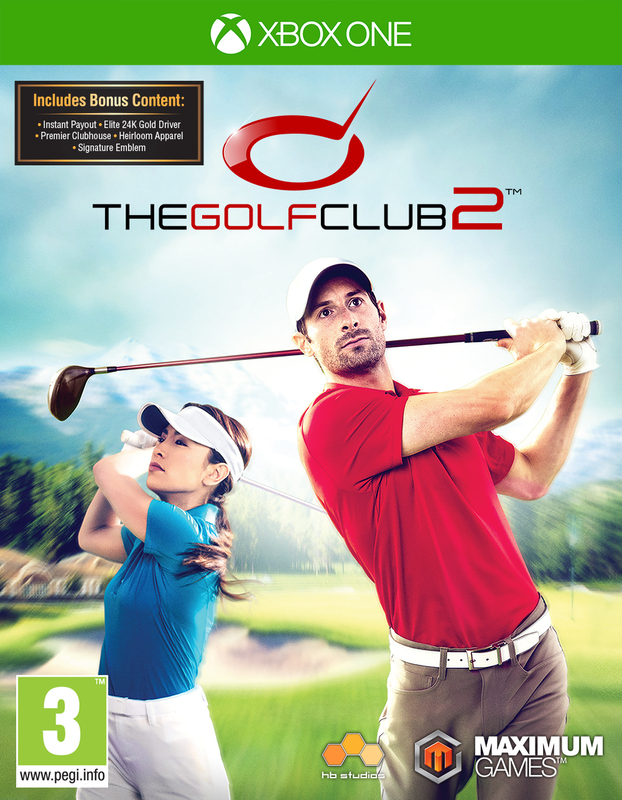 When HB Studios released The Golf Club back in 2014 we could already see a contender in the Golf Sim category, one that EA had locked down for some time. Now, with the release of The Golf Club 2, HB Studios could be setting the benchmark. One of the few issues I had with the first version of The Golf Club was that it was a bit of a lonely game. While you could play online, there were no representations of the other players. Unfortunately this is still the case. However, they have improved every other aspect of the multiplayer side to the game that it becomes largely forgivable. New to The Golf Club 2 is the concept of Clubhouses. You can create just one, but join many, online clubhouses. From here you create seasons that run over a set number of courses and a set of dates. Everyone in the club is invited to compete in these rounds, optionally with an entrance fee and a share of the winnings. The more the club members play, the more the club itself earns. The club owner can then use these earnings to upgrade the clubhouse, both visually and in the amount of rounds it can offer in a season. The system is perfect for anyone that runs online leagues. I was part of one many years ago that ran on EA PGA Tour games. We had nothing but issues trying to get players online at a set time to record their rounds and submit their scores, which we then managed on a table on a website. With the clubhouse system this is all built-in to the game for you. You can still organise a time for everyone to play at, but so long as players play within the event window then their scores are submitted to the season scoreboard. Another issue you have to deal with in online leagues is varying player skill. The Golf Club 2 also has this covered by using a handicap system. Much like you can do in real life, recording scores on handicap approved courses will constantly update your handicap rating. This rating then can be used to adjust your score when playing a handicapped round, allowing groups of players of different skill ratings the opportunity to still play competitively against each other. Think of it as rubber banding for golf. Further to this is the lack of any difficulty setting in the game. The only options you have is on the swing mechanic you use, and the type of clubs you take out. Player clubs offer a bit more leeway in miss hitting the ball, Tour clubs require precision but offer a lot of extra range in your shots, and the Standard clubs offer a good balance. 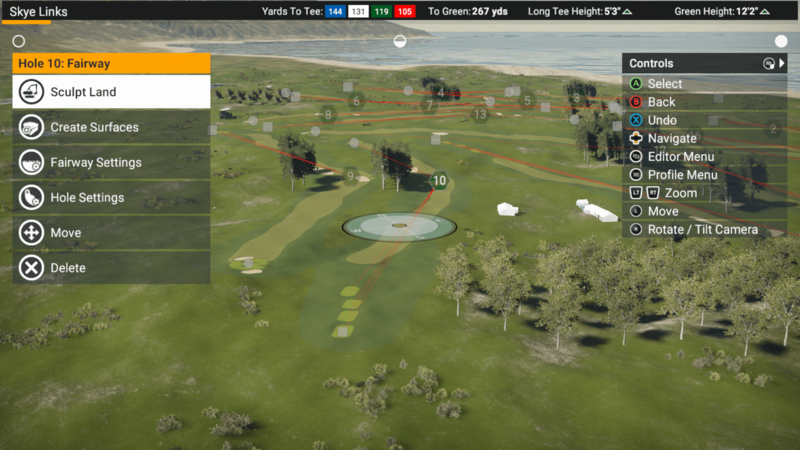 The gameplay is just a solid as it was in the previous version of The Golf Club. When you go out to the course you can choose to play by yourself, with other people who are online right now, or with the ghost of a friend or rival. 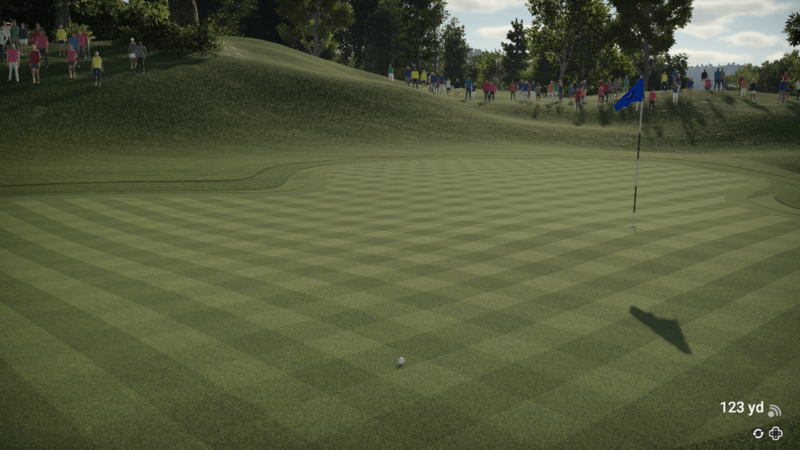 When you do either of the later you will see the other players balls flying around the course, even if they are on another hole in the distance. Your round is also being constantly recorded, so you can drop out and turn off the game between any shot and pick it up again later. The downside to this though is that the game does need to constantly upload you current progress, and this does sometimes cause a little bit of animation lag, which can be off-putting. Again, the most impressive part of The Golf Club 2 is the course editor. Any courses that you made in the original game can be imported from your save files, and then edited with the new and improved features of the editor in The Golf Club 2. This means that there are countless courses published online for your to play. The editor tools really are impressive too. With a few quick settings you can auto generate a course. Not happy? Change a few settings and regenerate. Or, if you choose to, you can go in and edit, delete, create every single hole on the course. From the terrain, grass cut, fairway width to all the scenery, props and wild animals there’s everything you could want to use when designing your course. It can take you anything from 5 minutes to multiple days to design a course, depending on how detailed you want to go. 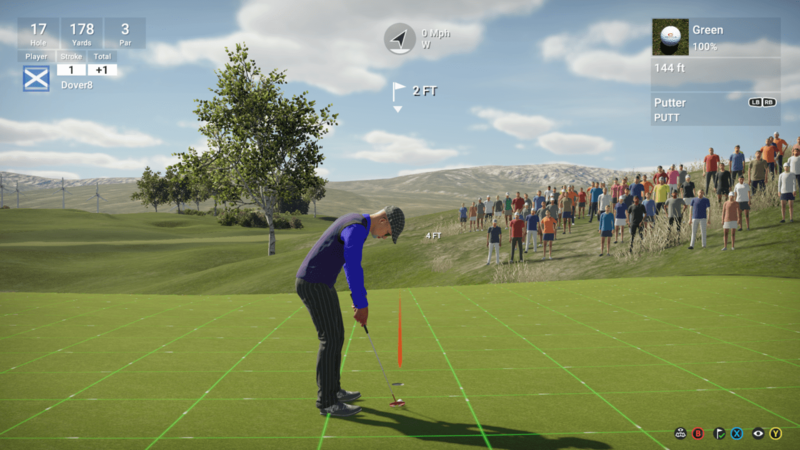 Also new to The Golf Club 2 is the concept of crowds. That was one of the big things of the original game that added to that feeling of lonely golfing. Between the new career mode (which is essentially an offline clubhouse), multi round events and dynamic crowds (which you can add in the course editor), playing the final round on a Sunday suddenly has a totally different atmosphere. This is added to by the more dynamic commentary which is very different during competitive play to when you are just playing a round by yourself. Overall The Golf Club 2 is a very good game. The lack of a title from EA this year is likely music to their ears, but the sports giants also have stiff competition on their hands when they return. 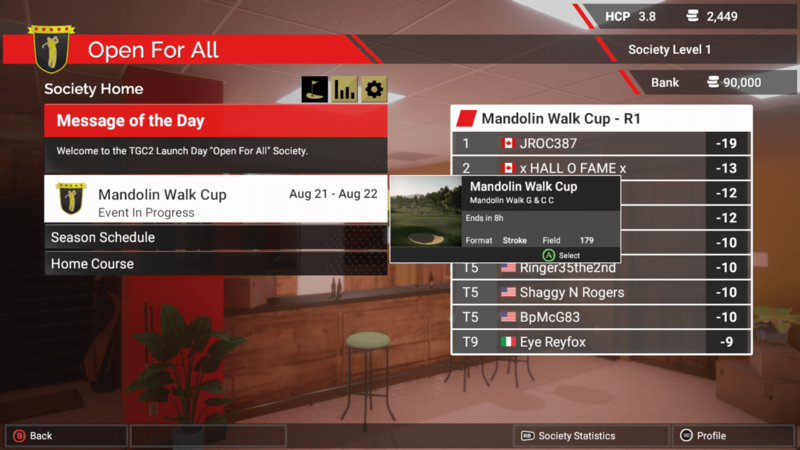 We’d still like to see our competitors characters on the course, and the connection lag is definitely an issue. But they are minor blemishes on a very good scorecard.